How do I install the Lightroom upgrade? How do I upgrade my catalog for use in Lightroom Classic? Once I’ve upgraded the catalog, can I go back to an earlier Lightroom version? How do I check which version I’m currently running? How do I uninstall Lightroom? 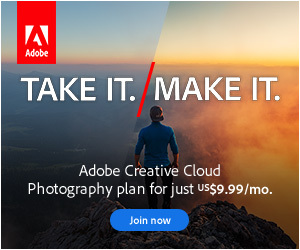 What happens to Lightroom if my subscription expires? How do I automatically open the Import dialog? Why do the folders keep jumping around when I click on them? How do I import from multiple folders or memory cards in one go? How do I change the preview size? Can I filter the photos? How do I select specific file types? Can I see a larger preview before importing? What size previews should I build? What does Don’t Import Suspected Duplicates do? What does the Make a Second Copy option do? How do I add imported photos to a collection while importing? How will you name your photos? Which characters can I use in my filenames? How do I build a filename template? How do I add additional padding zeros to sequence numbers? Where do I enter custom text and start numbers? What Develop settings should I apply in the Import dialog? How do I add copyright metadata to my photos? Should I apply keywords in the Import dialog? Can I remove existing metadata? What’s the best way to organize my photos into folders? Why not organize the photos by topic? Why use a date-based folder structure? Can I adapt a dated folder structure to suit me? How do I select a Destination folder? I’ve chosen Copy or Move—how do I organize the photos into a folder structure that suits me? How do I pick a date structure? Why are some of the Destination folders in italic? How do I avoid incorrectly nesting dated folders? How do I create a manual shoot-based folder structure? Can Lightroom manage my photos, like iTunes moves my music files? How do I stop the Import dialog hanging? Why can’t I see my photos in the Import dialog? How does Lightroom handle Raw+JPEG pairs? How do I back up Lightroom’s catalog? Should I turn on Test integrity and Optimize catalog each time I back up? How often should I back up the catalog? How do I run an extra backup on demand? Should I also write the metadata to the files as an extra backup? How do I restore a backup of my catalog? How do I restore part of my backup catalog? How do I restore a backup of photos? Why aren&apos;t my actions applying to all of the selected photos? Can I see a list view? How do I rank my photos? Which photos are worth keeping? What does Refine Photos do? How do I use color labels? Can I automatically stack sets of photos? How do I delete photos from the hard drive while viewing a collection? How do I organize my collections into sets? How do I set up a folder hierarchy? How do I hide parent folders? How do I switch between a composite folder view and a single folder view? How do I delete folders? How do I delete fuzzy photos? Why are some of the tokens missing? Can I search and replace in filenames? How do I reorganize photos into dated folders? How do I enter metadata for my photos? How do I add or change metadata for multiple photos at once? How do I create and edit a Metadata preset? How do I correct the information it’s trying to autofill? Where’s the rest of my metadata? How do I change the date format and units of measurement? What are the symbols at the ends of the fields? Can I add notes to my photos? How do I fix the capture time? Which Edit Capture Time option should I use? How do I change timestamps on scanned photos? Should I use a flat or hierarchical keyword list? How do I add my first keywords? What’s the difference between the Keywording panel and the Keyword List panel? How do I apply keywords to photos? How do I use the Painter tool to add metadata such as keywords? How do I delete a keyword from a single photo or all photos? How do I merge keywords? Why aren’t all of my keywords showing in the Keyword List? How do I clean up existing keywords? Which options should I select when creating or editing a keyword? How do I see which keywords are applied to my photo? What do the symbols in the Keyword List panels mean? Can I create my keyword list using a text editor? Is it possible to display all the photos in a catalog that aren’t already keyworded? How do I face tag people? How do I index my whole catalog? How do I stop indexing? How should I organize my people keywords? Can I convert existing keywords to People keywords? How do I navigate the People view? Why are the thumbnails unavailable or too dark? How do I change the sort order? How do I add a name to a face? I made a spelling mistake—how do I fix it? Does rejecting a name suggestion take another guess? What do I do with people I don’t recognize? How do I access the photos of a single person? Why didn’t the indexing find all of the faces? How do I draw missing faces on the photo? Should I draw round the backs of people’s heads? How do I name people in Loupe view? Can I add additional information about people, such as their birthday? How do I delete face regions? How do I keep my people keywords private? How do I add my photos to the map? Why is the map offline? How do I select the map style? How do I search for a specific location? How do I show or hide the overlays? How do I find photos I haven’t tagged yet? How do I create a tracklog? How do I import my tracklog and match it with the photos? Why won’t my tracklog import? Should I turn on address lookup in Catalog Settings? Will address lookup overwrite my existing location data? How do I make the lookup data permanent? Why is address lookup not working? Can I view the location in my web browser? Can I use more advanced geocoding facilities? How do I drag and drop into a custom sort order? Why can’t I select User Order? How do I use Attribute filters? How do I use the Metadata filters? Can I select multiple options from a single column, creating an OR filter? How do I select multiple options within the Metadata filter columns, creating an AND filter? How do I use Text Filters? How do I lock filters, so they don’t disappear when I switch to another folder? How do I create complex smart collections? How do I duplicate a smart collection? Why doesn’t the photo look the same as it did on the camera? I shot in B&W—why is Lightroom changing the photos back to color? Can I emulate the camera’s own color? Are there any other camera settings that Lightroom understands? Why should I calibrate my monitor? How do I adjust for mood? How do I keep the White Balance eyedropper turned on? How do I handle mixed lighting? How do I adjust white balance for infrared photos? How do I increase contrast? How do I decrease contrast? How do I set Whites and Blacks? How do I set the saturation? How do I know which process version I’m using? How do I update the process version? How do I update my presets to the new process version? What do the other Camera Calibration panel sliders do? Can I join videos together? Can I edit the color and exposure of my videos in the Develop module? Can I open my video into specialist video editing software? How do I resize the crop? How do I draw a freeform crop? How do I change the crop ratio? How do I lock my crop ratio? Can I set a default crop ratio? Why do I need to select the right ratio for prints? How do I change the Crop Overlay? How do I reset the crop? How do I zoom in while cropping? What’s the difference between clicking and dragging? How do I choose the source of the replacement pixels? Visualize Spots to quickly find dust spots? How do I ensure I don’t miss a spot? What are the limitations of the Lightroom’s Spot Removal tools? How do I use the Graduated or Radial Filter? How do I use the Adjustment Brush? How do I create a new Graduated or Radial Filter mask? How do I edit an existing Graduated Filter? How do I edit an existing Radial Filter? How do I create an additional gradient? How do I delete a gradient? How do I brush away part of the gradient? Why would I use the Adjustment Brush rather than editing a photo in Photoshop? How do I choose the size and softness of my brush? How do I erase brush strokes? How do I move brush strokes? Why are there small dots or speckles on my photo? How do I use Range Mask? How do I use the pins? How do I use the mask overlay? Can I duplicate the masks? And layer the effect of multiple masks? How do I set default slider settings? How do I save sets of slider settings as a preset? Can I save brush strokes or gradients as presets? How do I reduce bloodshot eyes? How do I soften skin? How do I fix mixed lighting? How do I add a specific color tint? How do I dodge and burn? How do I add local contrast? Can I adjust Vibrance instead of Saturation? Can I add a lens blur effect? How do I reduce noise in a smaller area, or only in the shadows? How do I reduce Moiré? How do I remove local color fringing? How do I read a tone curve? How are Tone Curves different to the Basic panel? What’s the difference between the parametric curve and the point curve? How do I adjust the standard parametric tone curve? Why are the sliders missing? How do I use the Targeted Adjustment Tool? What are the triangles at the bottom of the parametric tone curve? How do I invert a negative photo? How do I decide which photos to convert to B&W? How do I convert photos to B&W? How do I the change the color mix for a black & white photo? How do I finish off the B&W photo? How do I use the Split Toning panel? How do I create a B&W photo with some areas in color? How do I create an infrared effect? What are the HSL and Color panels used for? When would I use HSL and Color? How do I use the HSL/Color TAT tool? How do I fix noisy or soft photos? Why are my photos softer and noisier in Lightroom than in other software? How do the noise reduction sliders interact? How do I select the correct profile for my lens? How do I apply lens corrections to new photos by default? Why is the lens profile available for some photos and not others, using the same lens? How do I know whether my lens profile’s built in? What’s the difference between the Distortion/Vignetting sliders on the Profile tab and the Manual tab? How do I fix Chromatic Aberration or colored fringes? How do I remove localized fringing? How do I fix the perspective? What do the different Upright buttons do? Which one should I use? How do I use Guided Upright? How do I reduce the effect of the Upright correction? Transform Lens Corrections sliders do? How do I hide the grid? What’s the difference between syncing Upright Mode vs. Transforms? How do I decide on the best vignette settings? How do I move the vignette off-center? How do I stitch a panorama? How do I create an HDR file? Why use Lightroom for merging instead of Photoshop or other software? What type of files do I need for merging? What format are the merged files? Should I edit the photos before I merge them? What’s the difference between the Panorama projection options? How do I fill in the white areas around the edges? Where are the HDR editing options? How many photos should I select for an HDR file? How do I edit the HDR file after merging? What does Match Total Exposures in the Settings menu do? How do I apply a preset? Where do I download new presets? How do I install downloaded Develop presets? How do I apply presets to multiple photos? How do I update, rename or delete Develop Presets? How do I share my presets? How do I reset Develop settings? How do I change the preview options? Can I turn off the effect of a whole panel’s settings, to see the preview with and without these settings? How do I display a photo in Reference view? Why does the Reference photo keep disappearing? How do I choose whether to use a virtual copy or a snapshot? Can I convert snapshots to virtual copies and vice versa? Can I promote virtual copies and delete the master? Can I view the RGB values? Can I view the RGB values using a 0-255 scale? Can I display L*a*b* values instead of RGB? How do I enable soft proofing? Why is my profile not available for selection? Should I check Simulate Paper & Ink when viewing my soft proof? What’s the difference between the Monitor Gamut and Destination Gamut warnings? How do I compare my proof adjusted photo with the original? How can I tell which profile I used for a particular photo? Why might I use an external editor? Which color space should I select? Why use a big color space when nothing can print that wide a range? Which resolution should I select? How do I change the file name and location? Can I create different filenames for different editors? Can I automatically stack the files? Why does Lightroom keep putting the photos at the end of the current folder/collection? Why isn’t Lightroom opening my photo as a TIFF or PSD file according to my preferences? What’s the difference between Edit Original, Edit a Copy, or Edit a Copy with Lightroom Adjustments? Should I still use Merge to HDR Pro or Merge to Panorama in Photoshop? Open Anyway in the ACR mismatch dialog? How do I create my own external editor preset? How do I edit an external editor preset? Where have my external editors gone? How do I use a plug-in? Should I write to XMP? Should I allow Lightroom to update the capture time in raw files rather than XMP sidecar files? Include Develop settings in metadata inside JPEG, TIFF, PNG and PSD files? How do I read the metadata from the files? When resolving metadata conflicts, is there a way to preview what will happen? How do I avoid metadata conflicts? Can Lightroom automatically re-import the exported files? How do I handle existing photos with the same names? Can I overwrite the original photos? Should I apply compression to the photos? Which bit depth should I select? How big can I print my photo without visible pixelation? How do I calculate the number of pixels I need for a specific print size? How do I select which metadata to include in my files? How do I create a text watermark? How do I create a graphical watermark? How do I set the size and placement on the photo? Can I place the watermark in a different place on each photo? How do I save my watermarks? Can I add metadata to my watermark? The file could not be found. What went wrong? Which mail clients are supported? How do I set up email if my email client is supported? How do I set up email if I use webmail or an unsupported email client? How do I keep a copy of my sent email? How do I set up a Publish Services account? How do I set up other publish services? What size photos should I send to Facebook? I accidentally revoked the authorization on the website—how do I fix it? How do I view people’s comments? How do I create a 4” x 6” borderless print? How do I create a picture package? What do the catalog files contain? How much space does Lightroom’s catalog take up on my hard drive? How do I rename my catalog? How do I move my complete catalog & photos to another hard drive on the same computer? Can I use Lightroom over a network? If I can’t use Lightroom over a network, how can I use it on multiple computers? Can multiple users use a Lightroom catalog? What are the limitations of offline files, with standard or smart previews? How do I check which photos have previews or smart previews? How do I build or discard smart previews? How do I synchronize my presets using Dropbox? Is there a maximum number of photos a catalog can hold? How do I create a new catalog and open catalogs? How do I delete a spare catalog? How do I split a catalog into multiple catalogs? What else can cause photos to disappear? How do I change drive letters on Windows? The selected folder or one of its subfolders is already in Lightroom. Do you want to combine these folders? Do I say yes or no? The file is associated with another photo in the catalog. How do I fix it? How do I check my catalog for missing files? I accidentally deleted my photos from my hard drive and I don’t have backups! Can I recover them using Lightroom’s previews or smart previews? How do I show missing dialogs? Why do I just get gray boxes instead of previews? How do I remove my monitor profile to check whether it’s corrupted? Why doesn&apos;t the Library module preview match the Develop module preview? How do I reset Lightroom&apos;s Preferences? Why is Lightroom slower at some tasks than Photoshop? What are Lightroom&apos;s strengths and weaknesses? What are Standard Rendered Previews? What are 1:1 Rendered Previews? Where are Library module&apos;s rendered previews stored? How do I build standard or 1:1 previews? How do I delete previews? What is the Camera Raw Cache? How do I decide whether I&apos;d be better to use the Camera Raw Cache or Smart Previews? How do I solve Develop loading bottlenecks? How do I choose which photos to sync? Can I sync smart collections? How do I check the sync status? How do I pause sync? Where does Lightroom Classic put the photos I added to Lightroom CC? How do I stop specific photos syncing? How do I completely disable sync and remove everything from the cloud? What happens if the same photo changes on the desktop and mobile device while they’re offline, creating a conflict? What happens if I want to sync a different catalog or I need to restore a backup catalog? How do I share collections as web galleries? How do I see my friends comments? How do I select a page template and add new pages? How do I select a page? How do I rearrange the page order or insert a page? How do I mark a template as a favorite? Why does it say there are no favorites? How do I add or rearrange photo on a page? How do I zoom into a photo? Can I set it to automatically fit the photos to the cells without cropping, rather than filling the cell? What does the exclamation point on the photo mean? Can I filter to see which photos are currently used in my book? When I’ve finished designing the book, can I still edit the photos in Develop? How do I add a graphic or photo as a page background? How do I change the cover or spine color? What’s the difference between Page Text, Photo Text and text cells on page templates? How do I automatically enter text based on metadata? How do I position the text on the page? How do I add automatic page numbers? How do I add text to the cover and spine of the book? Can I run a spell check? How do I change the font, size and color? Why isn’t the font changing? How to do I split text into columns and adjust the spacing? How do I edit or add extra photos to my saved book? Who are Blurb and why are other vendors not available for printing books? Which cover style and paper should I select? How do I save my book as a PDF or JPEGs? What’s the difference between Save to PDF and a Blurb PDF? How do I adjust the size of the photo? How do I set the aspect ratio of the slides? Why doesn’t the photo fill the photo cell? How do I change the background of the slides? How do I add a border around the photo? How do I add or remove a gradient or color wash on the background of the slide? How do I add a background image to my slides? How do I add branding to my slideshow? How do I use Anchor Points? How do I add a text caption? How do I reselect or delete a text field? How do I make the caption different for each photo? How do I create my own metadata-based preset? How do I change the font for my captions? How do I add shadows behind my overlays? How do I display my star ratings? Can I rate the photos while the slideshow’s running? How do I add blank slides at the beginning and end of the slideshow? How do I add a music track to my slideshow? Where can I download royalty-free music? Can I add multiple music tracks? How do I remove a music track? Why is there an exclamation point next to the track name? How do I fade the music track when I’m playing a video? How do I set the timings for the slideshow? Can I set different timings for different slides? Can I change the style of transitions? Can I advance the slideshow manually? How do I set the order of the slides? How do I select which monitor to use? How do I play the slideshow? How do I play a subset of my slideshow without creating a new one? How do I save my slideshow to edit or play again later? How do I open my saved slideshow again later? How do I edit or delete my saved slideshow? How do I add extra photos to my slideshow? How do I save my slideshow settings to reuse on another set of photos? How do I export my slideshow as a video? How do I export my slideshow as a PDF? How do I export my slideshow as a folder of JPEGs? Why are my photos missing? How do I set the page margins? Why won’t they go to 0? How do I change the guides displayed on the page? How do I adjust the contact sheet layout? How do I change the order of the photos? Why won’t my photo print without adding white borders along two edges or cutting off some of the photo? How do I lay out a Picture or Custom Package or collage? How do I add my logo or Identity Plate to the page? How do I add text to my page? How do I display page numbers or crop marks? How do I print my layout? What is Draft Mode Printing? How high should I set the resolution? Why doesn’t my printer driver dialog look like that? How do I install custom printer profiles? Why do Page Setup, Print Settings and Printer buttons show the same dialog? How do I create a JPEG of my print layout? How do I save my design to edit or print later? How do I edit or delete my saved print? How do I save my print layout to reuse on another set of photos? How do I select the layout? How do I personalize my gallery? How do I change the gallery colors? How do I change the thumbnail page layout? How do I choose which metadata to display on the main image page? How do I select the quality of the main photos? How do I save my settings as a web gallery? How do I edit or delete my saved web gallery? How do I add extra photos to my web gallery? How do I save my web gallery settings to reuse on another set of photos? Should I let Lightroom upload the gallery or use dedicated FTP software? How do I set up Lightroom’s built-in FTP client? How do I export to the hard drive to upload using FTP software? Where can I download third-party galleries? What kind of features do third-party galleries offer? How do I install a third-party web gallery? Should I convert to Lossy DNG? Why do sRAW/mRAW files get bigger when converting to DNG? How do I update DNG files to take advantage of newer specifications? I embedded the proprietary raw file—how do I extract it? How do I use the DNG Validation? How do I recover missing pixels using DNG? Why not create ICC Profiles? How do I edit the Translated Strings file? Can I have more than 5 digit sequence numbers when renaming? The droplet runs, but it keeps asking which JPEG compression to use—what have I done wrong? In my droplet I used a Save for Web instead of a standard Save As—why won’t it overwrite the original file?